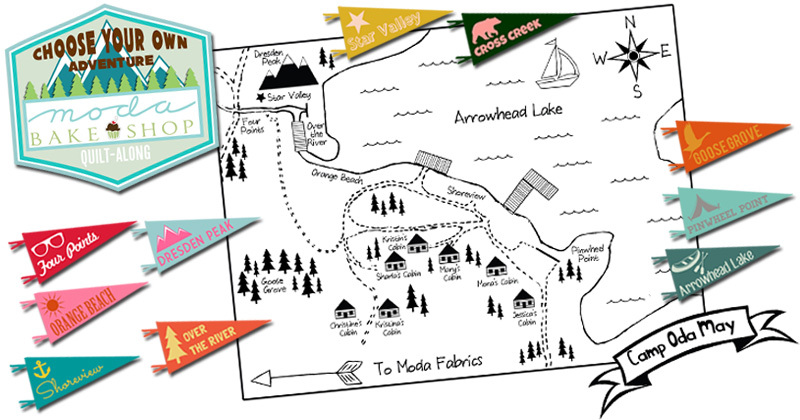 Quilting With Thistle Thicket Studio: It's Almost Here....Oda May's Summer Camp! Yes, Oda May is getting ready for all of us quilters at summer camp! I'm so excited to tell you that I am one of the camp counselors along with 6 other fantastic Moda Bake Shop Chefs. You can meet the other camp counselors and get a few more details at Moda Bake Shop. On June 17, I'll share what I'm packing for camp, so stay tuned!